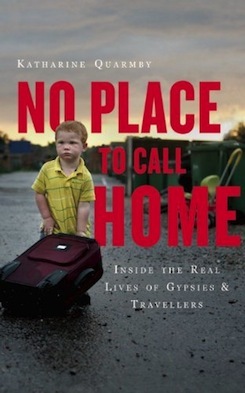 In No Place to Call Home, award-winning author and campaigning journalist Katharine Quarmby looks at the plight of the travelling community both in the UK and further afield. She weaves the inside story of the Dale Farm eviction into a larger tale - of how Gypsies and Travellers have been seen in Europe for centuries - as a dehumanised group, not worthy of respect and subjected, all too often, to bitter hatred and contempt. Katharine tells the story of particular families caught up in the battle for Dale Farm, and in other evictions, as well as investigating hidden hate crimes against the travelling community. Katharine also talks to leading politicians, prosecutors, police officers and those in the settled community who have strong views about the rights and wrongs of the travelling community. "Even in households where anti-Semitism and Islamophobia would be unacceptable, slurs against Gypsies and Travellers are still allowed to propagate, which is why Quarmby's book deserves to be given due prominence. Without greater under-standing there will be more, and bloodier, Dale Farms will follow." 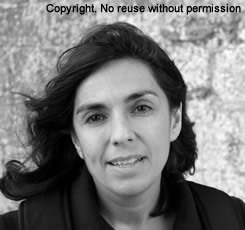 "This powerful book is, in many ways, a natural progression from the author's previous – and brilliantly pioneering – work on hate crimes towards people with disabilities, another marginalised group condemned to the fringes by mainstream society...An important book by an impressive journalist,.."
"Quarmby's book is a whole-hearted effort to lift some of that secrecy. Its sentimentality can grate, but her passion never does. As an exposure of the modern troubles of these unique, tight-knit communities of Travellers, it sets you travelling on the right road." "An important book that raises bigger issues about socially isolated and alienated groups everywhere. " "...a serious book on this subject by a serious journalist who knows what she’s talking about it ..."
"Drawing on press accounts, contemporary documents and interviews she uses the eviction as the starting point for this admirably measured and authoritative portrait of a diverse, isolated and often wilfully misunderstood minority... this wise, quietly incandescent account... this measured and insightful account"
"...meticulously researched...This book is both necessary and timely. "